Well, Dandy Don has sung and the large but svelte woman in that Viking cap has vocally acknowledged the Tampa Bay Rays have lost that final grasp on any chance at an October date with destiny. So the chase is now over, but a few games still remain. Over the next 2 weeks I think we will see a few slices of what might and could happen this winter in regards to our hometown Rays. We already know we will not see any fashion of a $80 million payroll in 2015, but the Rays have a lot of pieces to consider this winter, some expendable, and some they have to keep at all costs. Might be a interesting winter as the Rays have a chance to push out another cycle of truly young pitching talent, might dangle a few names on their hook, and possibly be seeking a consistent power bat that could awaken an offense that rises and falls more than the tides in Tampa Bay. 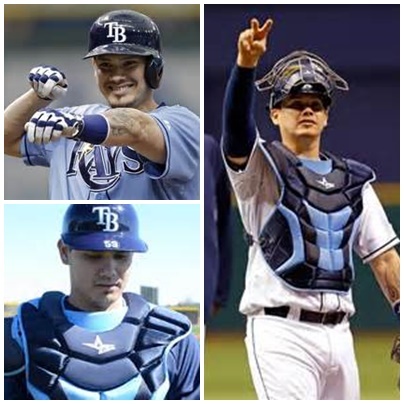 From behind the plate to down the First Base line in the Bullpen, the Rays have some important work to do to not only up their offensive firepower, but also to shore up a reliever corps that did not have that secure level of consistency we have grown accustom to here. 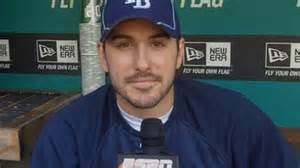 I truly suspect the Rays will not only dangle but seek out a possible trade partner to take on veteran backstop Jose Molina’s 2015 salary. With the solid emergence of Curt Casali behind the dish in 2014, it makes Molina not only an extra body behind the plate, but a large salary that could be used to possibly secure a power bat for the Rays lineup. In Casali’s favor right now is that he is showing great command of the Rays pitching corps and currently hold the best catcher’s ERA of 2.0 in the majors. He has caught Alex Cobb 6 times this season and sports a 1.09 ERA with Cobbster on the hill, including framing pitches during Cobb’s recent no-hitter adventure. I think Ryan Hanigan is on solid ground, but people in Cincinnati probably thought the same before the 2013 offseason. Helping his cause for 2015 is definitely his current .306 average in 11 starts since coming back off the DL on August 26th. Now in regards to the Rays infield. It would seem that 3 of the 4 slots are already occupied by players who should be rubber stamped in as starters for 2015. Sure anything can happen, but these 3 players also have contracts inked with the team, some long-term, some with quicker expiration dates. James Loney seems secure at First Base especially since he signed that 3-year #21 million contract in 2014 and should man the Rays 1B bag possibly until someone on the way up in the Rays farm system pushes him off it. 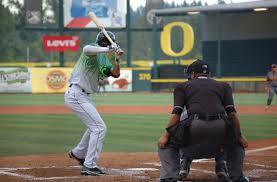 But also making Loney an easy name to pencil in is his superb bat skills and being great at GTMI (Get The Man In). Heading into Sunday’s contest Loney has 66 RBIs, second only to Evan Longoria. Do not be surprised if the Rays possibly show Sean Rodriguez a bit more at First Base in 2015. There is no guarantee the Rays will keep S-Rod, but he has been one of the most consistent pieces of the Rays utility corps right alongside Ben Zobrist. Speaking of Zorilla, could this offseason be the first one where the Rays ask Zobrist to possibly take a few more turns at First as a possible fill-in should the team not re-sign Rodriguez? We all know Rays Manager Joe Maddon is S-Rod’s biggest supporter, but his salary is climbing and with less dollars in the till, could Rodriguez be one of the Rays biggest question marks going into the winter. 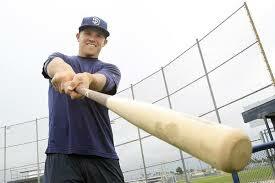 Third Base is all Evan Longoria’s until health or just plain age ripe him off the hot corner. People forget Longo is itching close to that big 3-0 that sometimes robs a player of agility and quickness needed to prevent screamers down the line. I do not see 2015 as the season Father Time begins to creep up on Longoria, but if he does we could possible see Tim Beckham or Logan Forsythe as guys to pencil in with spot starts. Longoria did have what many consider a sub-par season in 2014, but he still leads the team in most offensive categories and is still the Rays Clubhouse figurehead, and that will not change for some time. His tear in offense since the All-Star break might just be to him finally finding that mechanics groove we have been waiting for all this season. 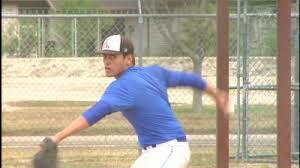 Shortstop is also a spot that seems secure, but has also been a spot of ups and downs in 2014. Now I like the spirited play of Yunel Escobar, but I think a healthy Hak-Ju Lee could press Escobar with a outstanding spring. You know subconsciously the Rays Front Office would love this kind of competition considering one would command a MLB minimal salary (Lee), and the other $5 million. You might wonder why the Rays did not bring up Lee or Beckham in September or after Durham finished their postseason run. Both have 2 minor league options left and if neither fights nor gains a 25-man roster slot in 2015, that gives the Rays some flexibility to hold onto them at least in Durham. Second Base might again be a “insert here” space in the Rays infield. With names like Nick Franklin, Forsythe, Lee and Beckham possibly fighting for a chance to line up at 2B, this might be one of the most contested spots during the spring of 2015. Sure you could put Zobrist firmly in black ink in this spot, but I think Maddon still loves to tinker and place Zobrist and his many gloves wherever he sees a possible weakness. I truly think we will see Zobrist either swapping gloves a lot again in 2015, or he will be gone. 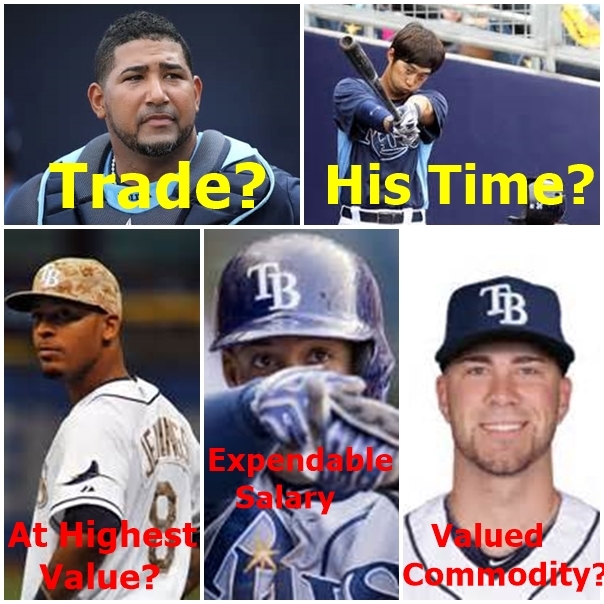 I think a lot depends on the Rays evaluation of what they could obtain via a winter trade for Zorilla while he still has ample value to a team looking for a players who has a command of his offensive and defensive skills. The Rays might end up coming out of 2015 spring training with their youngest outfield trio since their inception. I have an odd feeling this might be the other place where competition will be strong and possibly we see a name or possibly 2 change uniforms in direct response to possible 2015 salary as opposed to their overall value to the team. Outfielders Matt Joyce and possibly Desmond Jennings might also see their names in print a bit more during the Rays off season. 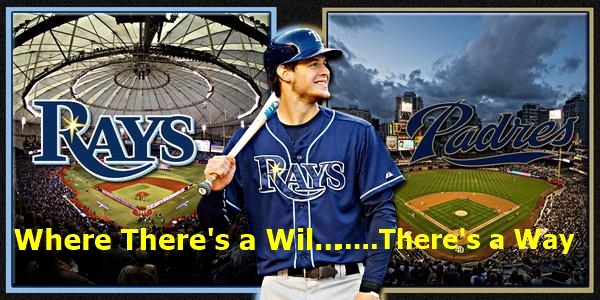 Not because they are not valued or important Rays pieces, but there is a younger crew of Rays outfielders led by Wil Myers and Kevin Keirmaier who can provide the same offense and defensive excellence at a more modest price. 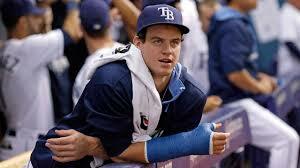 The Rays also need to make a valued judgment on Brandon Guyer who doesn’t have any minor league options remaining. This whole Guyer situation might come down to a mirror image evaluation that the Rays had to make on Sam Fuld before the 2014 season. Believe me, if the Rays find value in keeping Guyer, he could definitely slot in as the team’s 4th or 5th outfield option without a problem. 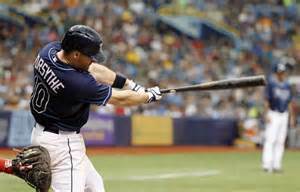 I will no discuss the DH position since I think that will be a hired bat or possibly more Longoria and Zobrist in 2015 if the team can not find an adequate stick that can elevate the Rays offense. In addition Maddon could use any variety of bench selections to insert or delete at his leisure. 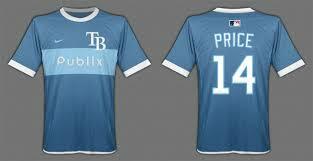 Designated Hitter might be a revolving door for the Rays if a valued bat is not found before the spring of 2015. 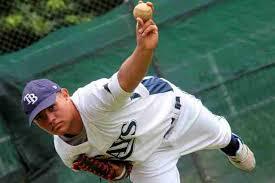 I have a feeling we will see a leaner and more stat-infused Rays team over the next 2 years. The Rays will again possibly show a “youth movement” as most positions will be secured by vets, but the younger corps of the team could mature into the offensive pieces the Rays lacked in 2014. With a slimmed down payroll and some veterans nearing the cusp of free agency, the Rays might call upon their striving younger core to provide a cohesive and focused 2015 nucleus. 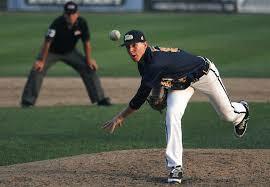 It is the World’s game. Only in our country does the sport heard ‘round the World take second, third or maybe not even a fifth fiddle. The globe embraces the sport of football, or as we Americans have dubbed it, Soccer. With our own United States men soccer team showing their grit and glory by winning their first matchup against Ghana in this year’s World Cup last night, I thought it might be fun to pencil in my own Rays World Cup squad based on the current members of the Rays 25-Man roster. Instantly most of you would wonder why a Baseball blogger would want to write and create a Soccer squad. From the age of 10 to 21 I played either as a Sweeper or on the left-side of the turf on local Men’s leagues (FSSL), on the All-South select U-17 travel teams and spent my 16th summer in Malmo, Sweden working out with that vistas reserves team. Heck if you look over at the blog photo on right you will see a photo of me playing indoor soccer, so I have the knowledge and know what it takes to play the game. Of course the Club Rays team’s Managers slot is already taken as you cannot discount the philosophical and game day rhetoric of Joe Maddon. Heck in a lot of ways he might even be a better communicator and guru to young minds than the current USA Manager Jurgen Kilinsman. I decided this Rays Club needs to play a 4-3-3 alignment which is 4 defenders, 3 midfielders and 3 forwards. We all know the Rays claim to fame in the last few years have been defense, so a line with a left, center, right fullbacks and a sweeper manning the gaps seems as a perfect lineup to help keep games close and with minimal scoring (hopefully). 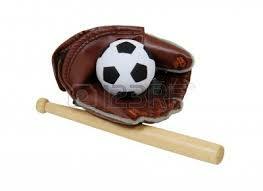 So let’s start at the last line of defense, the goalkeeper position first. I am going to pick Ryan Hanigan as he has shown he has the ability to block balls in the dirt, move around with grace under pressure and will come out of goal and sacrifice his body for the team. 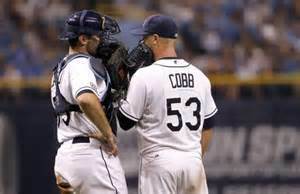 Most people would think I might pick Jose Molina as a back-up, but I chose Alex Cobb as much for his leadership as for his attention to the little things and would be a great communicator back there. That being said, my defense will also have a few wily Rays vets manning key spots, and even a few surprises to some people. My left fullback has to be someone committed to defense as well as have good sprinting speed to defend an opposing winger who is usually the fastest guy on the team with the ball. For some reason Jake McGee fits that spot for me. He is a big body guy who should be able to keep his shoulder square to the ball and ride a winger off the ball if he wants to proceed towards the touchlines or the goal box. On the right side I’m going with a gut feeling that Yunel Escobar will be a mirror image of McGee and keep the crosses from getting to the goal mouth and has the closing speed to thwart long passes into the box. Center fullback is a tough one. I want to get a big body in there, but more in height than in weight. For that reason I chose Grant Balfour who at 6’2” has a bit of a nasty streak, highly competitive and if he chats to the ball, that might scare a few opposing forwards from going up the middle of the pitch. As long as he keeps his back to the goal, I think the snarling Aussie should shut down any middle of the field dribbling and long range shots. As for the sweeper position I wanted to give that slot to someone who can be both an offensive and defensive weapon. Someone who can be that 4th utility defender as well as crash up into the offensive zone for corner kicks, help take free kicks and set a few boomers toward the goal. 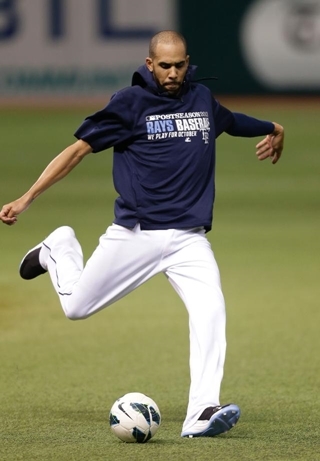 Perfect weapon for this Rays Club squad would be Sean Rodriguez. Now onto midfield, or the engine room of this team. We already know Evan Longoria will wear the Captain’s band and has the grit and stamina to man the center midfield slot and his ability to give out orders and command respect will have opposing defenders marking him tight, so I want my outside midfielders to have a burst of speed and great ball skills. 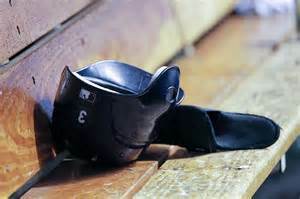 My selection for left mid will be James Loney. I picked him as much for consistency as for his bursts of power which on free kicks or fouls way outside the box his kicks could free Longoria and the forwards to jockey for inside position on the opposing defense. My right midfielder would have to be Ben Zobrist. I do not know if Zorilla is ambidextrous on the soccer field, but if he was he would be a great fit to the usual attacking side of the field and could center passes or do flanking moves or U-runs down the line for crosses into box. That leaves the forwards line. Here I’m going for the tall man in the box and shifty runners down the outsides or who can change directions and do crafty diagonals into the box for short chips, passes or provide ball in the air for headers. So with me wanting to capitalize on speed, it is no secret the left wing has to be Kevin Kiermaier who seems to have a sixth sense to getting into position for the right play and who is one of those players who brings a new level of excitement to the team. Right wing has to be another speedster as I pencil in Desmond Jennings for this slot and will call upon his quick first burst for great offensive moves and set plays. Add to the fact Jennings did play in that other brand of football, I think he will be a great target in the air for headers and taking a defender out of his position for scoring opportunities at the top of the goal box. That only leaves the center spot. I had to go with someone here who has leadership, respect and plays on a different level at times. 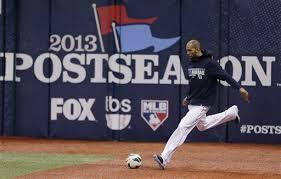 The obvious and clear choice for this spot was David Price. One of the glaring reasons is his 6’6” frame can rise a good 3-4 inches above most defenders for headers and I think he has the foot skills and dexterity to pull off picture perfect passes and provide 110% throughout the contest. 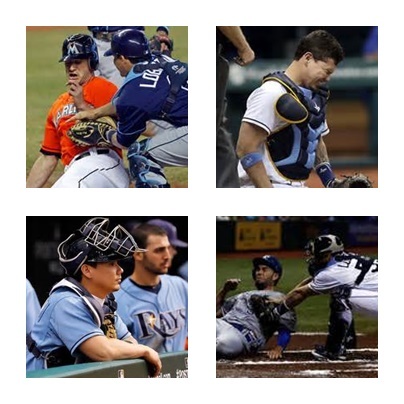 Of course this Rays team will have great and skilled substitutes on the bench like Chris Archer, Jeremy Hellickson, Matt Moore, Joel Peralta, and I might add Bullpen Catcher Scott Cursi to the mix as we all need a true “enforcer” on our soccer team. I know there will be debate about my choices, but I think this squad could do some real damage on the pitch, provide some spectacular scoring chances and picture perfect goals as well as keep the score low and within reach of the Rays offensive unit. Well it’s time for me to set the ball on the middle dot and get this Rays Club team going. Besides, you can always vent your thought at Rays Soccer Night Friday, June 20th. What? I wasn’t going to sit on the sidelines and watch this team, I would make the perfect Referee plus I want to see this match at ground zero, not in the stands. And besides, St. Petersburg,Florida like the Rays is home to the 2-time North American Soccer League Champions, the Tampa Bay Rowdies who play on the Rays old Spring home. Florida Progress/Al Lang Field. Now if I can just get the linesmen to keep Jonny Gomes from running onto the turf, we would be golden. 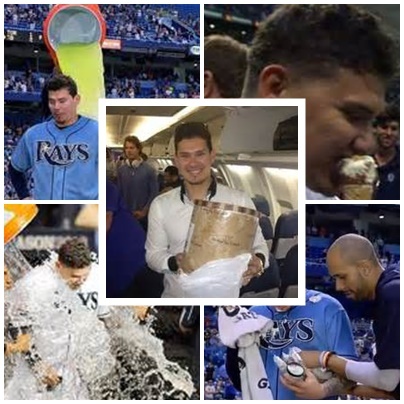 Going to be sad to see the end of the Ice Cream Man’s era with the Tampa Bay Rays. Going into the winter off-season you could have hedged your bets the team would unload possibly a player striding the pitching rubber, not one crouched down 60 feet 6 inches away. 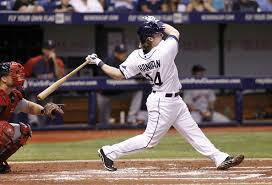 Maybe the writing was on the wall for catcher Jose Lobaton the moment the Rays traded for a respected and well-tooled catcher like Ryan Hanigan. 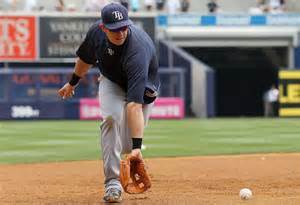 Not helping in Lobaton’s increasingly unstable situation was that the other “Jose” in the Rays catching corps, Jose Molina had signed a team-friendly contract with an eye on a bit of a reduced role in 2014. Suddenly it didn’t seem like why, but when Lobaton would get a call from the team announcing a trade, but there is no way any of us thought this adventure would venture into February. And trade chatter is being heard from vista’s like Cleveland, Washington, the south-side of Chicago, Flushing, Phoenix and even Denver that Lobation could/should possibly be looking for a temporary abode in Arizona for Spring Training, not Port Charlotte, Florida. Hopefully a deal will get done fast and swiftly as pitchers and catchers are beginning their journeys to their Spring Training camps and if he isn’t a Ray come February 14th, Loby got some hurried planning to do. 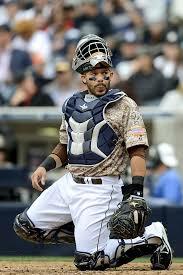 Lobaton has to be an attractive option for a team wanting to bring in a young but experienced backstop. His .249 average during the 2013 season mixed with 7 HRs shows he is gaining the ability to not only be good behind the plate, but can deliver standing on either side of the dish. Switch-hitting catchers are a bit of a rarity in the MLB, and Lobaton has shown by his .736 OPS from the left side he should garner at least a few phone calls from every one of those cities mentioned above for their respective catching units. 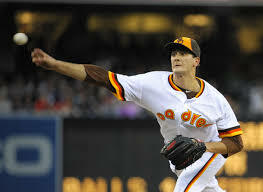 He has a gold star attached to his name right now as a Super Two arbitration player who is excelling at a position where a team could acquire a player with his talents and experience knowing he will not hit the free agent market until 2017 or 2018 at the earliest. We have already heard reports over the winter that the Nationals would love to find a capable young backstop to pair with W Ramos, and Lobaton definitely fit the criteria. 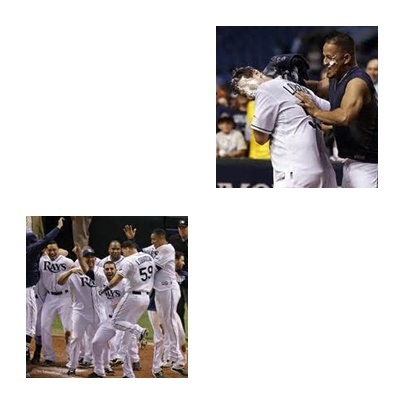 Also in Lobatons favor is the pure fact he has been with the Rays during their stretch runs over the last few seasons and has post-season experience as well as his ability to come through in the clutch with power displays and ice cream runs. The Indians with their favorable park dimensions could utilize Lobaton’s left-sided goodness especially as the team wants to try and secure Carlos Santana at the First Base bag in 2014. You can see the White Sox interest as they might not be totally all in favor of Tyler Flowers being their everyday catcher, and the Rockies and D-backs might be looking at Loby more as a young talented insurance option should injuries again plague their catching corps. And do not discount the fact teams already know Lobaton comes at a good value after he avoided arbitration earlier this off season with a $900,000. 2014 Salary. Worst part of Molina re-signing and the team trading for Hanigan is the pure fact the path is blocked for any significant amount of time behind the plate for Lobaton in 2014. 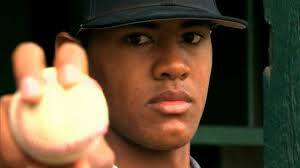 Another factor that will play into another team getting Lobaton is the fact he is out of minor league options and would have to go through the waiver wire to be shipped back to Triple-A Durham if he did not make the Rays 2014 Opening Day roster. So we have hit on the positives for teams wanting Lobaton’s services for 2014. 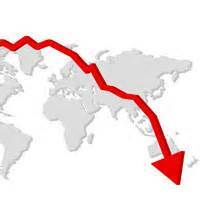 And with every player there also comes some uncertainty or liabilities. One simple reason for a trade is in fact a by-product of the team’s trade for Hanigan and the keeping of Molina. Lobaton is not a defective pitch framer, but the Rays other 2 options at this time trump Lobaton’s ability and he might be considered average at best in getting borderline strike calls. 2 other glaring liabilities of obtaining Lobaton might be career stat-wise he is considered to be below average backstop in getting to balls in the dirt which would be a red flag to teams that rely on breaking pitches outside and low. What a team might also offer for Lobaton might hinge on if they think they can correct his most illuminating flaw, a career 16 % Caught Stealing percentage mark. If a team can imagine fixing any of the 3 flaws in Loby’s bag of tricks they could come out as a winner in any trade offering. In the end, the Rays know they might have to take a little less in return for Lobaton no matter his offensive upside because the team would have to make a difficult decision to retain him after March 31st. 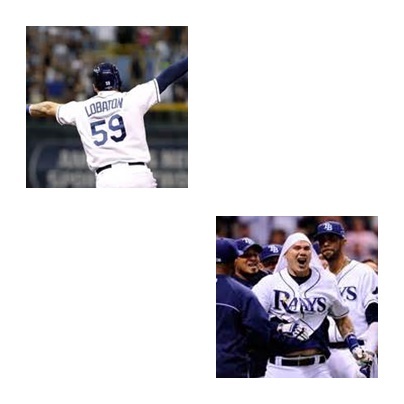 Also with reporting dates quickly approaching, a team would want to get Lobaton in camp as soon as possible as he would need time to not only adjust to a new team and techniques, but get an early spring edge on the learning curve of catching and pitch calling for a new pitching staff before the season begins. Hopefully the trade process is short and sweet and Lobaton is off to join his new team before their report date. You can only hope Lobaton begin to show some new prowess in scooping the ball this spring, digging down deep in the bowl to block pitches and deliver that sweet swing that always ends with ice cream.